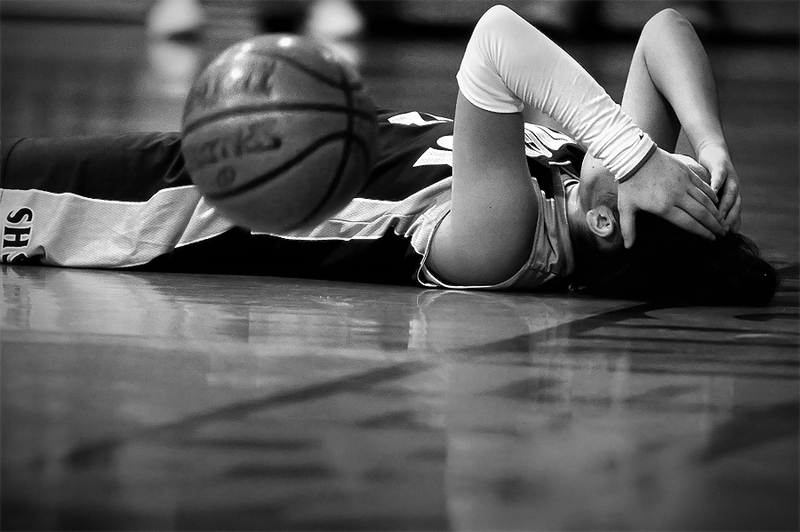 "Alice Kong #12 of the Springbrook Devils reacts after giving up a foul against Polytechnic late in the fourth quarter during the Class 4A North girls basketball regional championship game at Baltimore Polytechnic Institute High School, Friday, March 2, 2012." I don't shoot a lot of high school sports being a freelancer, so when I do, I tend to get very excited. I know that I'll most likely get either a playoff game or a good story, and as always, there will be a lot of emotion. However, that also can set you up for disappointment, especially when you have all three aforementioned elements coming together. All afternoon I was thinking of the story line. The Baltimore Polytechnic Institute High School girl's basketball team was 22-0 and about to battle for the regional championship. All I could picture was a crazy jubilation or a heartbreaking dejection. After shooting a super-low scoring game, with not much action, time ticked off the clock. Poly was going to claim their 23rd consecutive win and advance to the state tournament. But the second the buzzer sounded, I got nothing. At best, a posed shot of the team as they flashed "number one" fingers for their parents. I didn't even move the photo. I was a bit shocked. But that's sports. That's life. You never know what's going to happen and can't over think situations you know nothing about. It is what it is and when the stars don't align, you simply have to look forward to the next assignment. Hope to see some more high school playoff action next week, but I am not holding my breath. Now I patiently await baseball season.